After a relaxing weekend we were rained out for the second day in a row On Monday. The forecast is looking bleak for the rest of the week. We are staying productive washing and rebagging the artifacts we have recovered but we can hardly wait to return to the features we started to uncover at the end of last week. 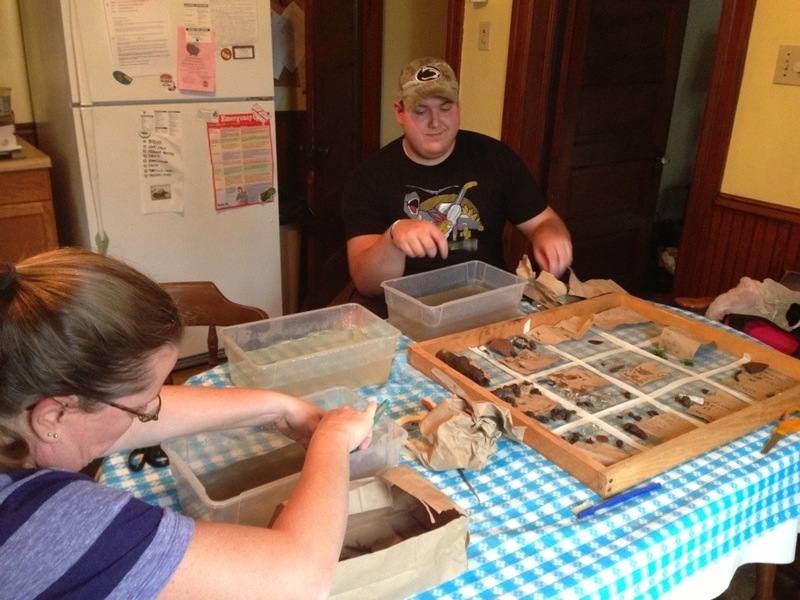 In the photo above, Jim Kuzma and Marthajean Rioux can be seen hard at work in our Hazleton home base cleaning the soil off artifacts with old toothbrushes. They will be left to dry and placed in labelled bags for transport to the next step in our research. Today I will talk a little bit about what the documentary sources say about the site we are excavating. In particular, I would like to talk about one source that has provided us with a vivid and colorful, if problematic, portrait of our historic setting. Grasses and wild flowers once were luxuriant there, but for many decades rains have been washing from the huge pile some of the deadly black particles that smother plants, even trees, as we realize by noting the gaunt, leafless, lifeless trunks scattered here and there, with naked grayish limbs uplifted as if crying to Heaven for help. Were it not for the green hillsides and the kaleidoscopic sky, this would be indeed a somber picture. To the immigrant just arrived from Italy the colliery town must seem a realization of desolation itself…. ….not only are they eager to work for wages on which an English speaking family would starve, but they are superstitious and murderous, and do not hesitate to use dynamite if they desire to blow up the home of one whom they particularly hate. Also, unlike the average Chinaman, each of these foreign miners insists on voting as soon as possible. 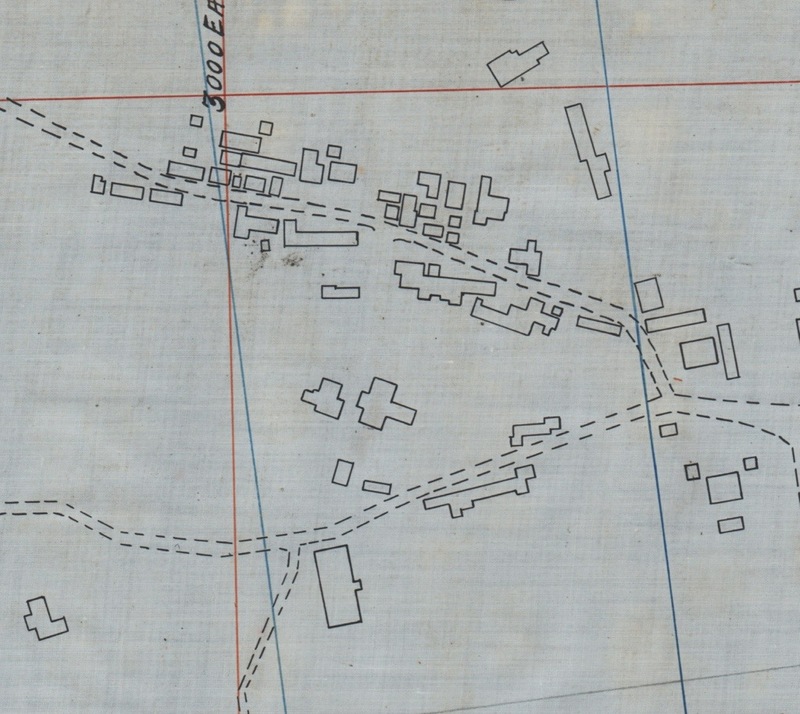 This is a place to be described by metes and bounds and degrees of instruments, and to do it would tax the ingenuity of the best of surveyors. Can you read character from handiwork? If so, this would be a place to practise your art. Each little house, with the boxes, cubby-holes, and fences about it, has been built by the man who lives in it. The company houses in No.2 are few, and we are soon at the opening of a lane much narrower and more crooked than the one we have just traversed. It leads into the patch, and up this lane we drive. Then up another lane, more tangled than the last; and this is the principal street of a settlement of the queerest structures, some of them not much larger than dog-kennels. There is no sewage system, and the alley is the dumping-ground for all offal. At every few steps of this winding, reeking way are little openings leading into other passageways, not much wider than will permit a man to walk through. The roofs of the buildings slant at all angles, with no two sides of the same length or deflection. One portion will have eaves, while its companion will scorn the luxury. The same incongruity prevails everywhere. Some of the small openings used for windows are high, while others are low. One door will open in, and another out. The hinges have evidently come from the company scrap-pile, and the staples and latches and locks from the same source. Some of the roofs have shingles, others weather-boards, while others are formed of great pieces of rusty sheet-iron. Having set us up with his logic, Hambridge means to suggest something about the immigrants here through the architectural descriptions. Overall, as he suggests, “incongruity prevails”. Considering Hambridge’s description in the context of the archaeological, anthropological and archival research we have done so far, I would suggest a very different interpretation of this landscape. The houses of this part of the patch suggest a sensibility of innovation and persistence in the face of insufferable odds. 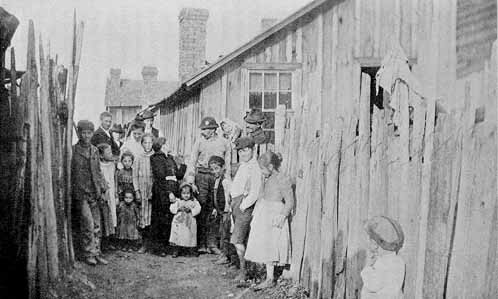 While the living conditions for the residents of other parts of the patch could hardly seem get any worse, these immigrants found ways to survive on even less. Rather than judge the men and women who built these houses for their lack of masonry skills or the poverty of their materials, we should be impressed with the enterprise they employed to use scavenged or recycled materials. From the close proximity of the houses in this dense settlement, we can also theorize a sense of community solidarity that held them together through difficult times. Archaeologically speaking, I find this description thrilling for several reasons. Having excavated the remains of historical structures for a number of years, I am used to a certain amount of predictability to house construction. A consistency of geometry, method and materials define architectural styles in specific contexts, easing our work by satisfying the demands of predictability. On the other hand, excavating houses built in this way is quite exciting and challenging. We need to stretch our imagination, experience and methods to engage the unexpected. And in the end, of course, people are not houses. As archaeologists, we are interested in the people who made these houses and the conditions in which they built them, more than simply describing them as we find them. “A Pennsylvania Colliery Village, Part I: A Polyglot Community” by Henry Edward Rood and “An Artist’s Impression of the Colliery Region” by Jay Hambridge, The Century Illustrated Monthly Magazine, Volume LV, No. 6, April, 1898.